Improving the lives of the victims of corruption across the developing world is essential. And it is possible. Ask Rina Das who lives in Raghupati Nagar in India. Like many others, Rina Das depended on municipal services, which so often were inadequately funded despite payments of taxes. A group of civil society organizations is now changing this. They are educating ordinary people like Rina Das to exercise their rights under India’s 2005 Right to Information Act. Villagers are mobilizing to demand transparency. They are uncovering scams in health projects, false data in local authority master rolls of employment for all kinds of vital projects. Transparency is becoming a reality and victims of corruption, like Rina Das, can look ahead to a brighter future. 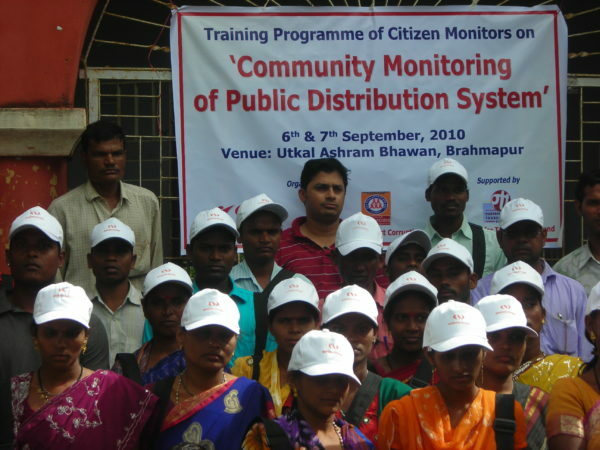 In 2009, the Partnership for Transparency Fund (PTF) provided modest grants to 14 civil society organizations in India that started to train ordinary citizens to use their rights to information. With local monitoring schemes and hundreds of citizens starting to exercise their basic rights, precedents are being set in villages in India that are going to be replicated time and time again. As PTF’s Chair, Anabel Cruz, who is attending the IACC, says, “Our PTF vision is – Citizens succeed in making their government free of corruption.” PTF is pioneering small, local projects to make this happen. One of the findings of PTF experience is that bold anti-corruption projects often work because civil society organizations can find officials who understand that doing the right thing is just that – it’s right. “You not only need good laws and increased transparency, but you also need to find ways to build integrity,” says Cathy Stevulak, who is coordinating a workshop at the IACC to exchange learning on citizen initiatives against corruption in police and judicial institutions. What works and why? Case studies from projects that PTF has funded demonstrate that solid progress can be made. PTF is an all-volunteer organization that has recruited retired development experts to not just vet grant applications, but to provide substantive advice to civil society organizations as they strive to develop concrete projects that are going to make a meaningful anti-corruption difference in a relatively short timeframe. What PTF has been learning in recent years as its workload has multiplied is that learning from the progress made in diverse projects and providing knowledge to ambitious anti-corruption groups is of great value. The opportunity to learn at the IACC by exchanging views with others who have stories to tell about wonderful women like Rina Das is central to PTF’s – and the IACC’s mandate. What are your experiences with citizen action? How can we better build integrity in police and judicial institutions?